The history of Algerian Jews has thus far been viewed from the perspective of communities on the northern coast, who became, to some extent, beneficiaries of colonialism. But to the south, in the Sahara, Jews faced a harsher colonial treatment. 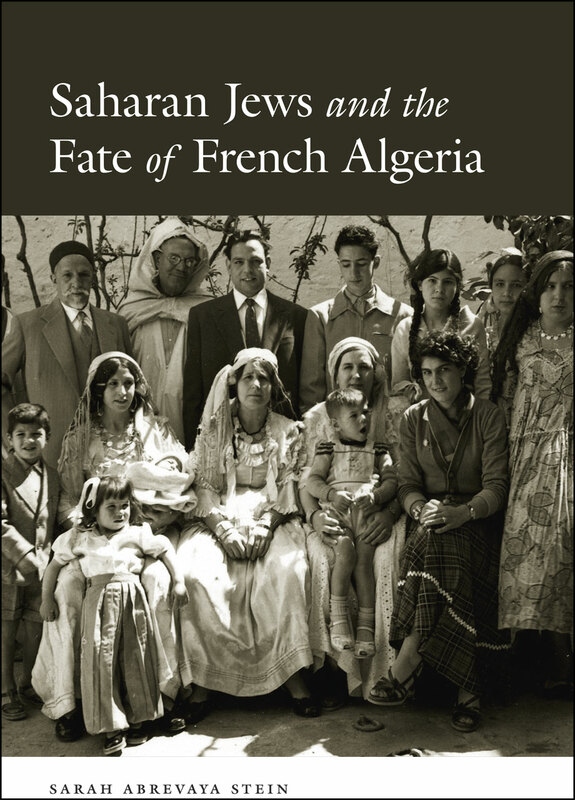 In Saharan Jews and the Fate of French Algeria, Sarah Abrevaya Stein asks why the Jews of Algeria’s south were marginalized by French authorities, how they negotiated the sometimes brutal results, and what the reverberations have been in the postcolonial era. Drawing on materials from thirty archives across six countries, Stein tells the story of colonial imposition on a desert community that had lived and traveled in the Sahara for centuries. She paints an intriguing historical picture—of an ancient community, trans-Saharan commerce, desert labor camps during World War II, anthropologist spies, battles over oil, and the struggle for Algerian sovereignty. Writing colonialism and decolonization into Jewish history and Jews into the French Saharan one, Saharan Jews and the Fate of French Algeria is a fascinating exploration not of Jewish exceptionalism but of colonial power and its religious and cultural differentiations, which have indelibly shaped the modern world. "Saharan Jews demonstrates the value of taking a global approach to the study of a local subject. A wealth of archival material from multiple continents and languages has enabled Stein to show that, while the indigenous legal status of the Jews of the Mzab significantly limited their ability to interact with the broader world, they contributed to and experienced global history nonetheless."